When it comes to high quality smart and wireless audio devices, Sonos have built up a reputation as being among the best in the business. Having historically been near the front of the pack for high performance audio and speaker systems, it was little surprise to many that in the age of the smart home entertainment device, Sonos were always going to represent a strong contender for delivering industry leading smart audio solutions. Some of the very best smart speakers on the market today carry the Sonos badge and provide everything you’d expect from the marriage of audio prestige and the integration of smart technology, delivering wireless connectivity and cross-device compatibility, voice control, and of course, killer sound quality. So with all of this in mind, if you’re looking to find the best Sonos speaker for your budget and requirements, what are the main differences between the top devices in the range and what should you be on the lookout for when considering your next smart speaker purchase? 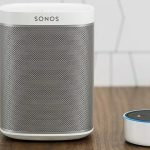 In this guide, we’ve taken a look at the best Sonos speakers available today, to help you find the optimal solution for your needs, whether that’s as part of a larger smart home entertainment system, as a standalone portable music solution for use in the kitchen or outdoors, or even as an audio-focused voice controller for use with the rest of your smart home ecosystem. 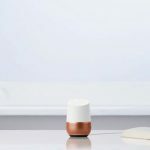 Modern speaker systems almost always include a combination of one or more features for wireless functionality and multiple connectivity options as well as the ability to control the system (and connected devices) using your voice. It’s this last feature that is usually considered to bring a speaker system or audio device into the smart category. 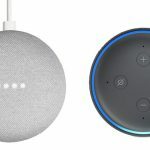 Within this remit of what constitutes a modern audio system, and particularly, a smart speaker system, the market is currently split between the dedicated smart home device companies (think Amazon, Google, Apple etc) and the established audio device manufacturers (Bose, Sony, and of course, Sonos). Benefiting from a heritage in top-performance wireless was always going to be an ace up the sleeve of Sonos in this new landscape and it’s in this context that the brand have effortlessly shifted the entirety of their audio device range into the realm of the smart speaker. While you’re usually going to spend more for a smart speaker system from an established audio expert like Sonos as opposed to the more budget-friendly alternatives from players such as Amazon with their Alexa-powered Echo smart speaker range, if you’re a true audiophile, the difference in quality will almost certainly be worth the extra expense. Similarly, if you don’t want to sacrifice sound quality in order to also benefit from a smart voice assistant from your speakers system, then the inclusion of Alexa built-in to the latest and greatest Sonos speakers will likely be music to your ears. 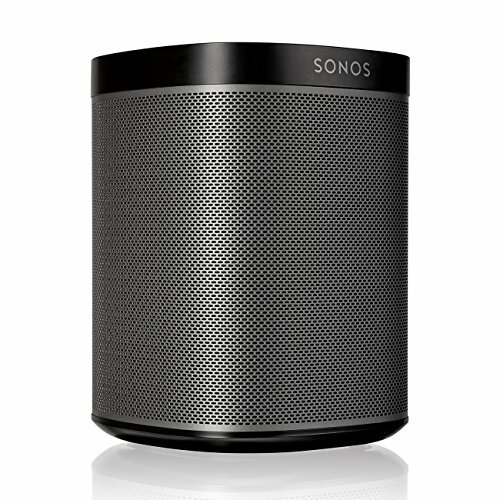 The best Sonos speakers in the brand’s lineup cover the range of audio scenarios from simple stand-alone portable systems for unparalleled music and sound output, to larger units such as soundbar systems for pairing up with a smart TV or a comprehensive smart home entertainment setup. It’s therefore useful to know the best options in the Sonos family for different use-cases as well as getting an understanding of the features and functionality (as well as the pros and cons) of each option. We’ve taken a look (listen) to the best Sonos speakers from the brand’s current offering to help you get to grips with some of the best smart and wireless audio options available today. If you’re looking for the entry-level offering in the Sonos smart speaker range, then the compact yet powerful Play:1 is a very good place to start. With a form factor that makes it ideally suited for pretty much any location in the house, the Play:1 delivers that ideal combination of quality audio output in an understated case. Don’t let the size or compartively low price tag of the Play:1 fool you though as the device is more than capable of holding its own when it comes to filling even larger spaces with an unexpected level of high quality sound. Pair up a couple of Play:1 speakers in a room and you’ve very quickly got a wireless smart speaker setup that’s not to be messed with. While Alexa isn’t built-in to the Play:1, it does pair with Amazon’s Echo devices and other Alexa-enabled devices via the onboard WiFi meaning once it’s synced up to your wider Alexa ecosystem, you’re going to be able to request music from the system using your voice. 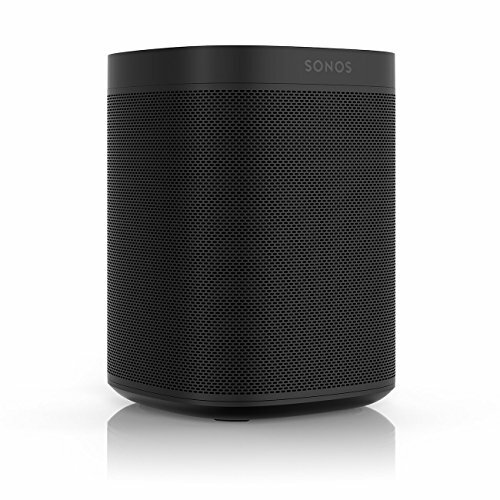 Similarly on the wireless connectivity side of things, the Sonos Play:1 is (in the true heritage of Sonos speakers) going to allow you to effortlessly stream music from online services such as Amazon Music, Spotify, Apple Music, and Pandora without skipping a beat. For the money, the Play:1 is a strong contender for one of the best wireless speakers on the market, particularly when you consider the ease of setup, quality of sound, and ability to quickly expand the system by ‘bolting on’ additional speakers as and when needed. 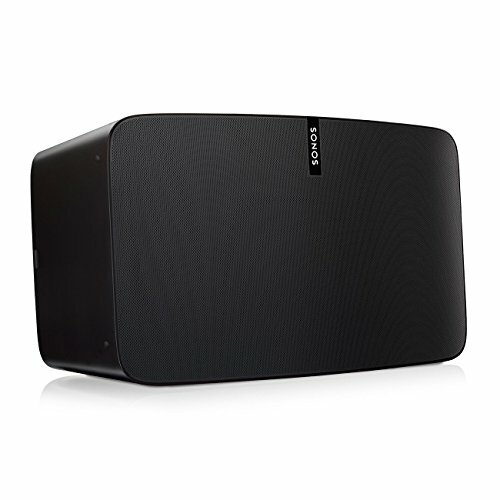 While the Play:1 mentioned above is a good choice if you’re looking for an entry-level Sonos system with less emphasis on the ‘smart’ in smart speaker, the inclusion of Alexa voice control as a built-in feature of the latest Sonos One speakers makes this upgraded version of the device the natural choice if voice activation is a must-have. Coming in slightly higher on the pricing scale than it’s less intelligent sibling, the Sonos One Smart Speaker delivers all of the audio quality profile you’d expect from a Sonos device while also benefiting from the smarts of Amazon’s Alexa voice control system on-board as standard. In fact, the Sonos One should be considered the entry-level smart speaker in the brand’s range and considering the only slight increase in cost when compared Amazon’s top-tier Echo devices, the Sonos One represents a very solid choice if you’re going for a smart speaker that doesn’t offer superior audio quality at the expense of voice control functionality. Alexa built-in means you’re going to be able to do all of the things that the best Alexa smart speakers can do, directly from the unit itself – things like controlling your smart home devices, getting the latest weather reports, and of course, asking the system to play your music on demand. Connectivity is what Sonos is all about and the brand has built a long-standing reputation around this fact. 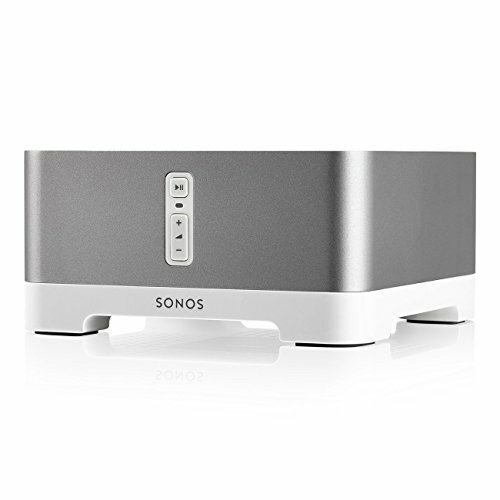 It’s therefore unsurprising that the Sonos One provides painless setup and native wireless connectivity to other Sonos Home Sound System speakers you may have (or eventually acquire) in other rooms of the house. All of this makes for a superior audio experience with all of the benefits of a fully-featured Alexa smart speaker without breaking the bank in the process. The natural extension of wireless audio systems and speakers has long been the living room and it’s therefore unsurprising that the Sonos Beam has effectively brought the essential elements of smart audio output and control into a device designed for use in this area. Designed to extend the audio experience of your TV or visual entertainment solution, the Sonos Beam is another device in the company’s lineup to include Alexa built into the system itself, providing effortless on-board voice control to bring voice control into the mix. 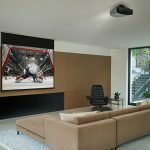 In terms of connectivity, the Beam utilizes HDMI ARC to connect to your TV or display device and a built-in wireless connection for communicating with other devices and sound systems around the home. Of course it’s the sound quality that arguably matters most though and in this area, the Beam doesn’t disappoint, delivering superior audio through a combination of a single, centrally located tweeter, three passive radiators, and four full-range woofers, all of which provide a powerful auditory experience whether you’re watching a movie, playing a game, or just listening to music. The inclusion of Amazon’s Alexa built-in to the device means that you’re going to be able to carry out all of the usual voice command based activities and a five microphone array ensures that you’re going to be heard by the system even if you’re couch is a good distance from the speaker itself. When it comes to cross-device compatibility in a wireless speaker, it’s hard to find a better option than the Sonos Play:5 – the latest evolution of the brand’s original speaker. Built around a core of six Class-D digital amplifiers, six dedicated speaker drivers, the sound output from this wireless speaker is enough to deliver a serious audio experience in even the largest rooms. 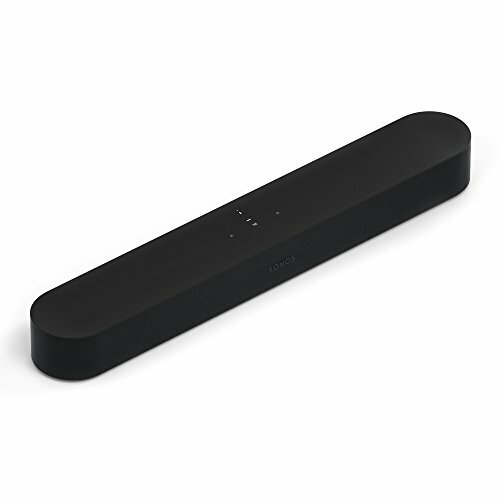 While the Play:5 doesn’t include built-in voice control functionality like some of the other devices in the Sonos speaker range (see Sonos One and Sonos Beam Smart Soundbar above for this), the system is designed to work with Alexa meaning you can quickly connect to any Amazon Echo or Alexa-enabled device for voice activation of your music collection. 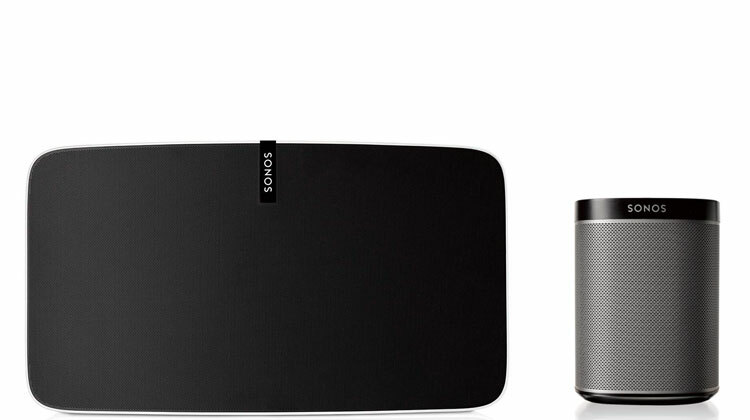 The main benefits of a high-powered wireless speaker still remain true with the Play:5 though and the ability to wirelessly stream music from online services as well as connecting to other audio playback devices in your home entertainment setup mean that as a standalone wireless speaker, the Sonos Play:5 is one of the best in the business. One of the selling points of the Play: range of Sonos speakers is the ability to move them around in multiple configurations and quickly expand the output of your sound by hooking up additional units to the system. The Play:5 is no exception and can be setup in a number of ways (and with as many units as required) to fit the setting and requirements of your home and your listening preferences. The Sonos Connect: Amp approaches the smart home audio situation from a different angle in that it works by retrofitting your existing speakers into your wireless home ecosystem. By effectively upgrading the legacy speakers in your home and acting as a wireless go-between, the Connect: Amp bridges older technology with the latest smart tech or wireless solutions that you want to integrate in your home, allowing you to carry out the tasks usually associated with a wireless smart speaker (connectivity to voice controllers, online music streaming, connecting to other wireless devices etc) from your existing sound system. This ability to bring your current system into the smart home entertainment loop can be thought of a bit like smart plugs or power outlet devices (which carry out a similar task for ‘non-smart’ electronics like existing lamps and other appliances), providing the same service, albeit for your audio equipment. Once connected to your existing speakers and your home Wi-Fi connection, the built in amplifier is designed to power both large and small speakers via an RCA line-in. If you want wireless smart Sonos audio technology without replacing your existing speakers, then the Sonos Connect: Amp is undoubtedly the way to go about it.